William K. Marimow, the former editor of the Philadelphia Inquirer and now the Philadelphia Media Network editor-at-large, offers a look back at the old Inquirer Building, which is scheduled to become the new headquarters for the Philadelphia Police Department. When I first entered the building one warm afternoon in June 1972, what I discovered was that a beautiful building on the outside was antiquated on the inside. Four uniformed operators ran the elevators; a little shop in the lobby sold cigarettes, cigars, candy, and magazines. On the fifth floor, home of the Inquirer newsroom, there were dull gray desks clustered tightly together and, in the background, the rhythmic tapping of typewriters and the clacking of news-wire machines amid the haze of cigarette smoke. … I worked in that cramped, grungy, collegial newsroom for 19 years, and I savored the experience. 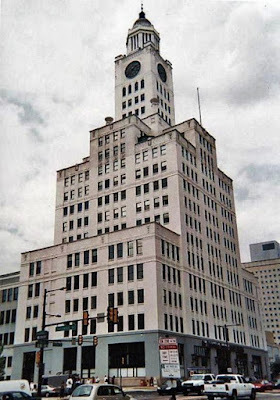 I then spent two more years working in the publisher’s office on the 12th floor, which had once served as the office of Walter Annenberg, the former ambassador to England and the owner of the Inquirer and Daily News. Our newsroom was transformed in the fall of 1972 when Gene Roberts, the national editor of the New York Times, arrived to take the helm. A laconic man who spoke with a North Carolina drawl when he spoke – Roberts often intimidated staffers with his prolonged periods of silence – he came to Philadelphia with a wealth of journalistic experience that gave him immediate credibility. He had covered agriculture in rural North Carolina, the maritime beat in Norfolk, labor in Detroit, and the civil rights movement and the Vietnam War at the New York Times. He recognized excellence in his staff — reporters, editors, and photographers alike — and he gave them the latitude and the support to pursue their dreams. Those dreams often were the seedlings that produced great stories — journalism that would make a profound difference in the lives and work of the Inquirer’s readers, their community, and the nation. Note: Although I don’t always agree with the Philadelphia Inquirer and Daily News’ somewhat liberal worldview, I’m proud to have been a contributor to the two newspapers since 1996. My last piece, a Q&A with actor, writer and producer Chazz Palminteri, ran in both newspapers.